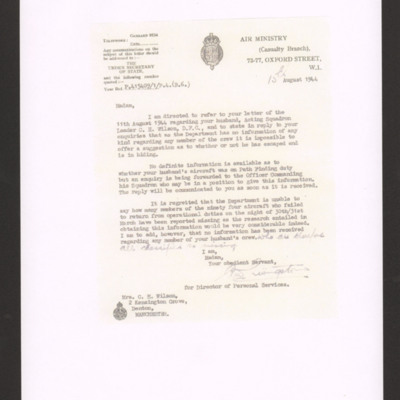 Official guidance to relatives on privately published notices concerning RAF casualties. 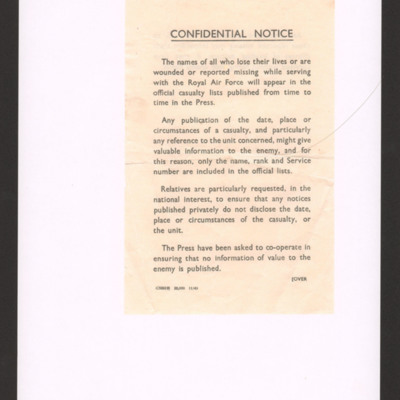 Official pamphlet stating action that service departments carry out to try and trace personnel reported missing. 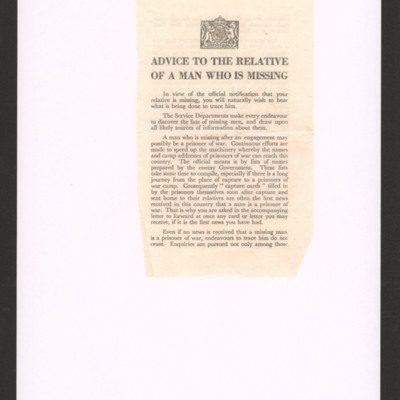 As soon as any reliable news was obtained it would be passed to relatives. 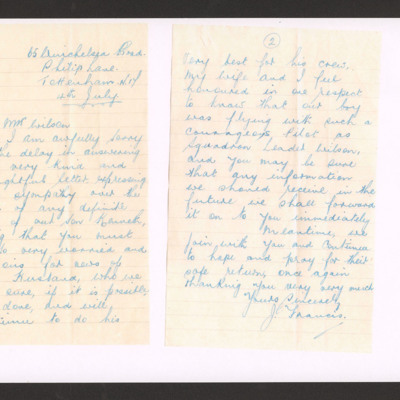 Letter from mother of flight engineer, written to the captains wife expressing sympathy, thanks and hope that the crew are safe somewhere. 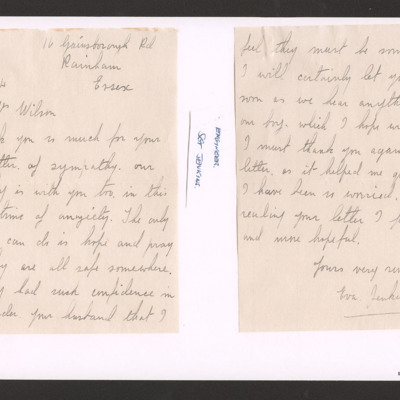 Written by the father of the wireless operator Sgt Kenneth Francis to the captains wife. 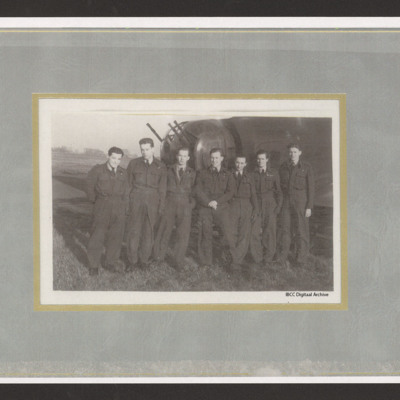 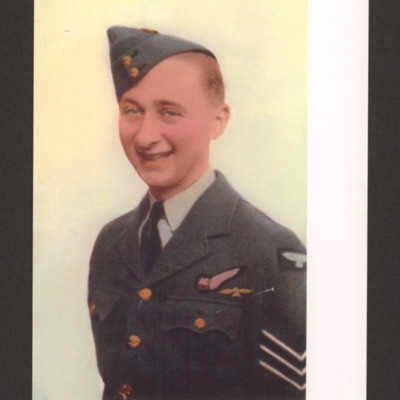 Continue to hope for crews survival and writes that they felt honoured that their son was flying with such a courageous pilot as Squadron Leader Wilson. 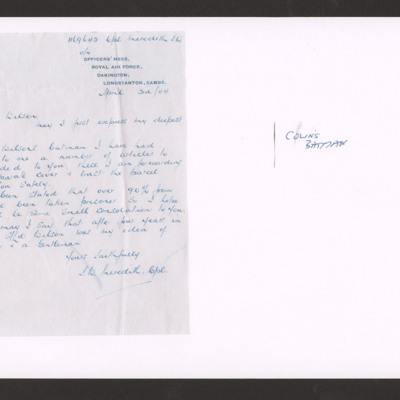 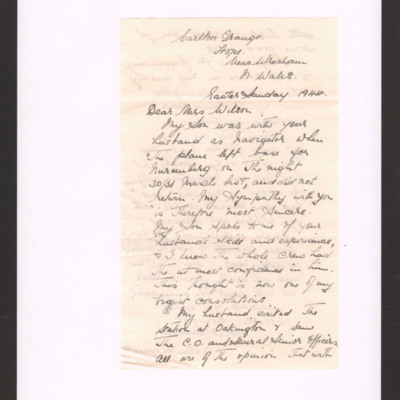 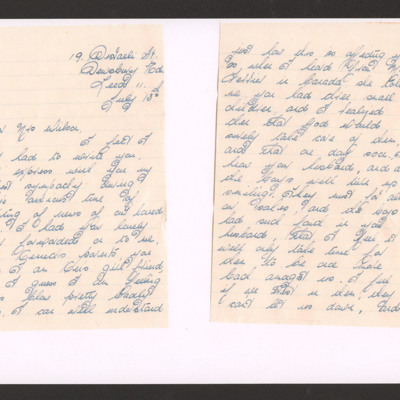 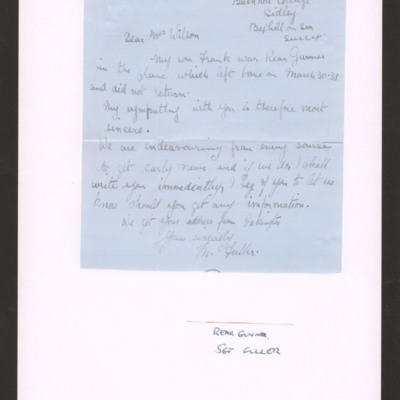 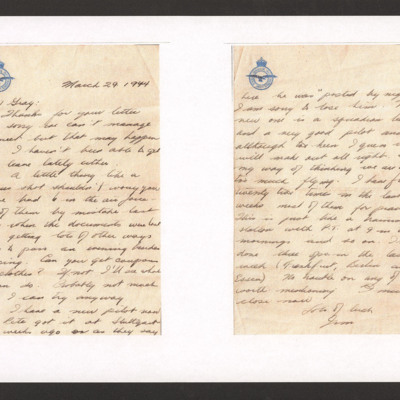 Letter from Margaret, girl friend of crew member Sergeant K G Francis's, to Mrs Wilson writing of her sympathy for Mrs Wilson’s husband and his crew who have been reported missing. 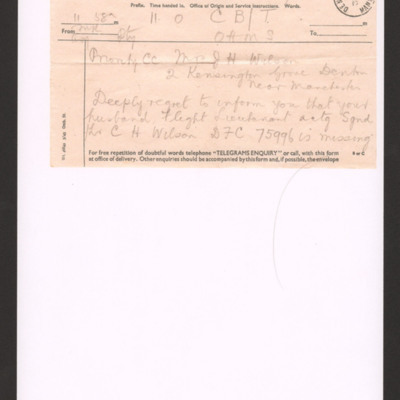 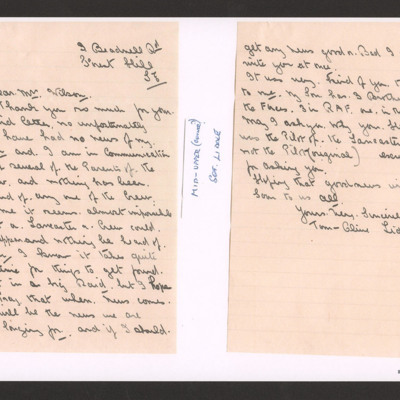 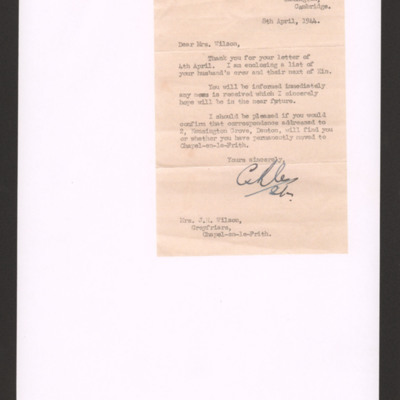 Telegram to Mrs J H Wilson informing her that her husband Flight Lieutenant/acting Squadron Leader C. H. Wilson is missing.